The membership policy of $15 per family (or $5 per person) for 2018 includes library card, online catalogue access and entrance to all regular library programs (with the exception of tutoring, which is available at an additional cost). Membership is payable at the library, upon registration for library cards. For more information on our Library, click here. 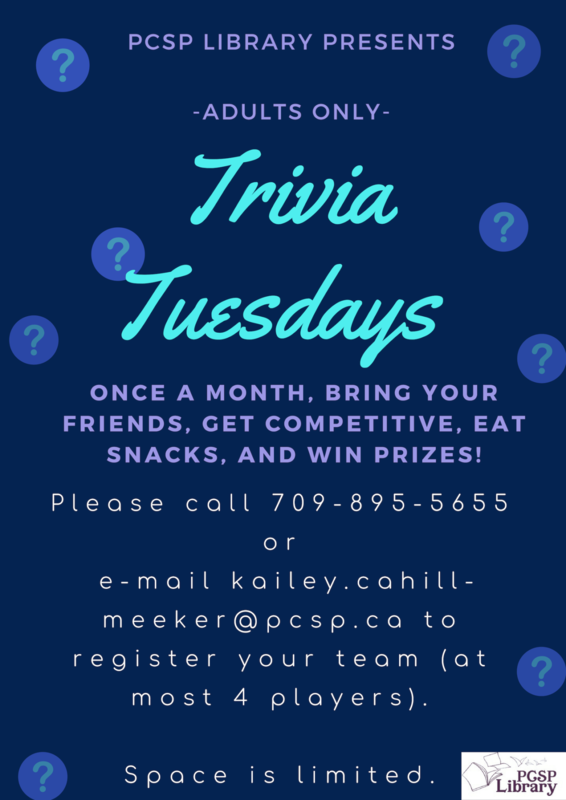 The PCSP Library presents Trivia Tuesdays! 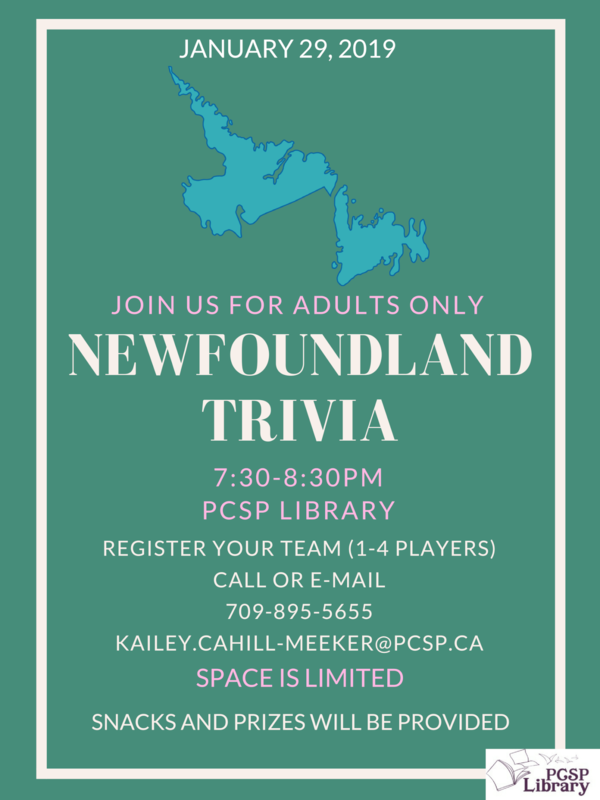 Once a month, gather your friends for an evening of competitive trivia on a new topic each month. Past topics have included Harry Potter, The Office, Game of Thrones, and more! This is an adults only event. Admission is free for those with a PCSP Library Membership, those who do not yet have a membership can sign up for one for only $5.00 per person, per year. 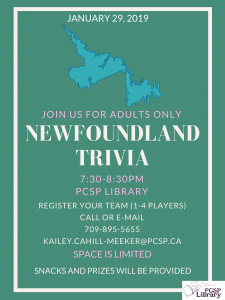 Admission to trivia with your library membership includes participation in the trivia competition, snacks, and prizes! 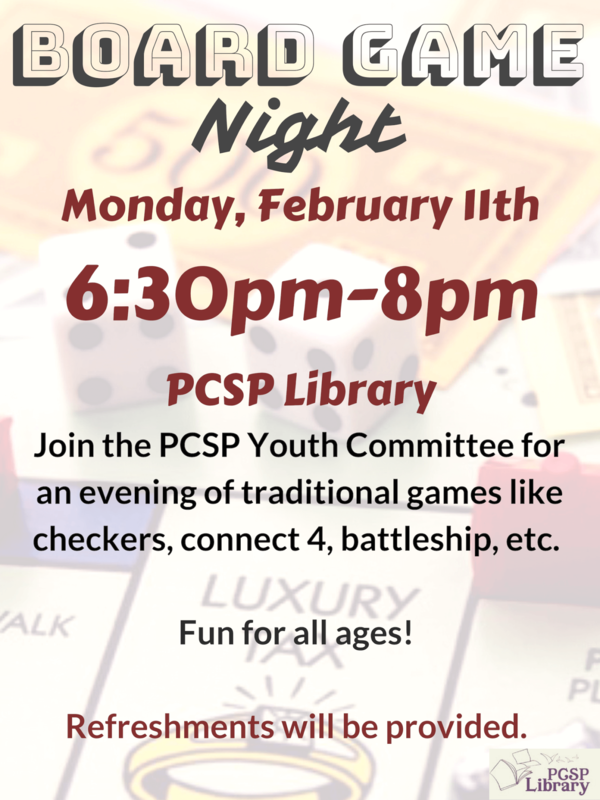 Drop by the PCSP Library for our Board Game Night! 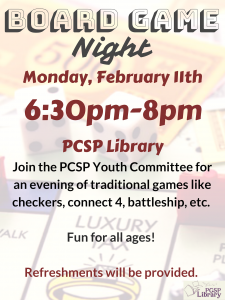 On Monday, February 11th from 6:30 – 8:00pm, stop by to try something new or enjoy some old favorites from our large selection of board games. This is a fun event for all ages with hot chocolate to enjoy while you play! Admission to this event is free for those with a PCSP Library Membership. If you do not yet have a membership, you can purchase one at the library for an annual fee of $5.00. 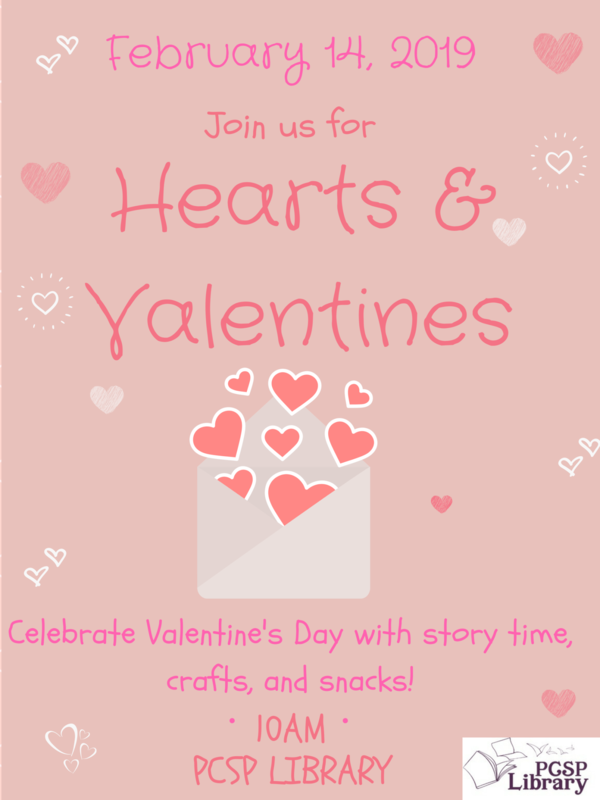 Hearts and Valentines is a special holiday edition of our regular Yarns for Youngins program. Every Thursday at 10:00am, children under the age of five and their families are invited to come by the PCSP Library for Yarns for Youngins. 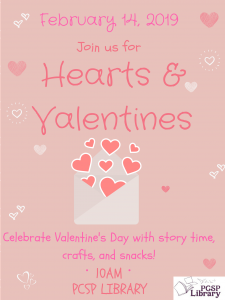 At this event, children will read a story and complete a craft with our Librarian, Kailey. Participants will also sing a song, which is always lots of fun for all the boys and girls! 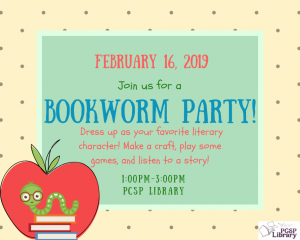 The PCSP Library is excited to host our first Bookworm Party! This event takes place on Saturday, February 16th from 1:00pm – 3:00pm. Everyone is welcome to attend and costumes are encouraged! We want to see everyone dressed as their favorite literary characters for a day of crafts, games, and fun in the library. 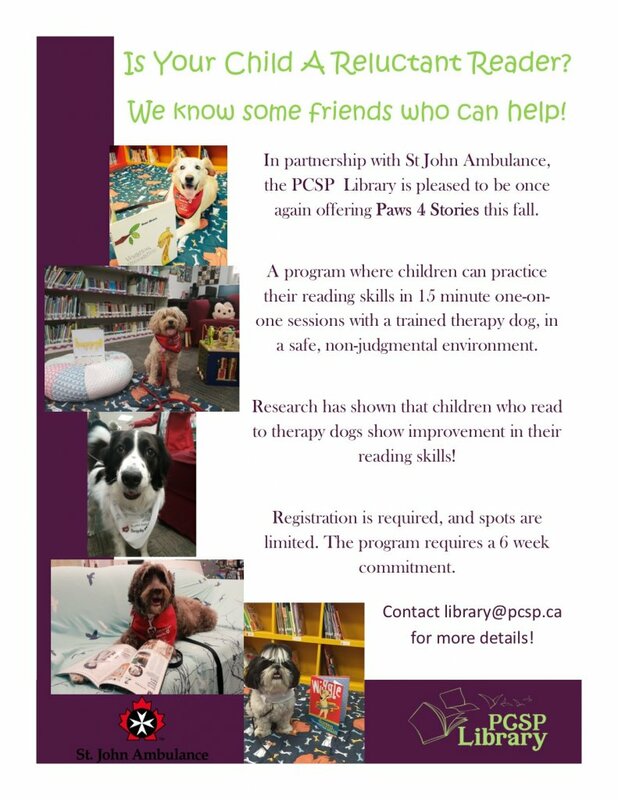 Paws 4 Stories is a unique and free program for reluctant readers. With the comfort and company of a therapy dog, participants read aloud and practice their speaking skills. This programs takes place in 6-week sessions throughout the year. Pre-registration is required, and readers will be given a 15-minute scheduled time session. 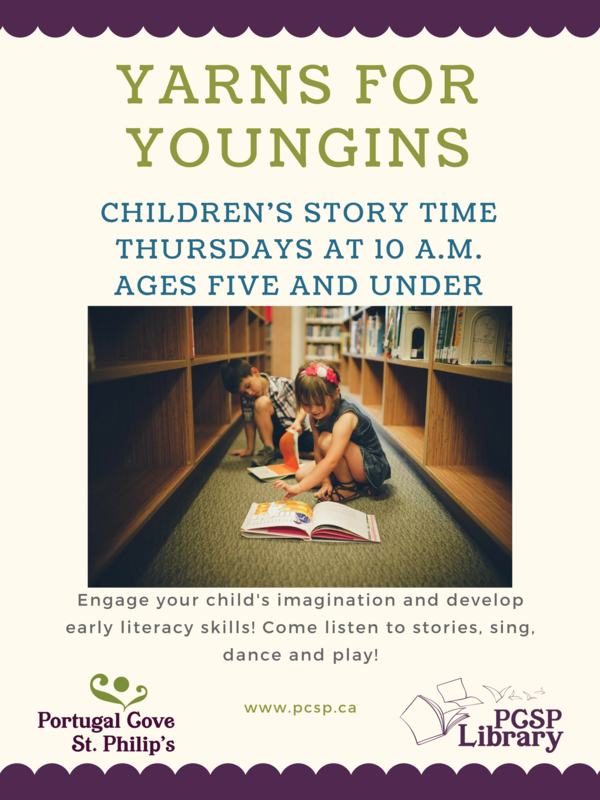 Every Thursday at 10:00am, children under the age of five and their families are invited to come by the PCSP Library for Yarns for Youngins. 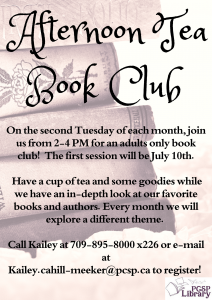 At this event, children will read a story and complete a craft with our Librarian, Kailey. Participants will also sing a song, which is always lots of fun for all the boys and girls! 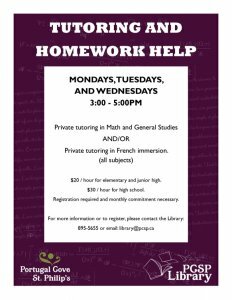 On Mondays, Tuesdays, and Wednesday from 3:00pm – 5:00pm there are tutors available to be booked for private tutoring sessions in the PCSP Library. 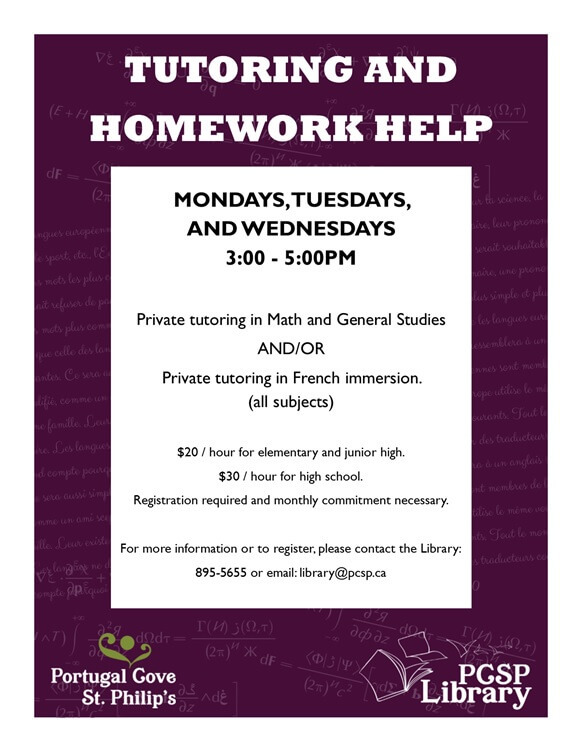 All regular classroom subjects are available for tutoring. Pre-registration is mandatory, and can be completed by contacting the library at [email protected] or by calling 895-5655. The cost for tutoring is $20.00 per hour for elementary school and jr. high school students and $30.00 per hour for high school students. 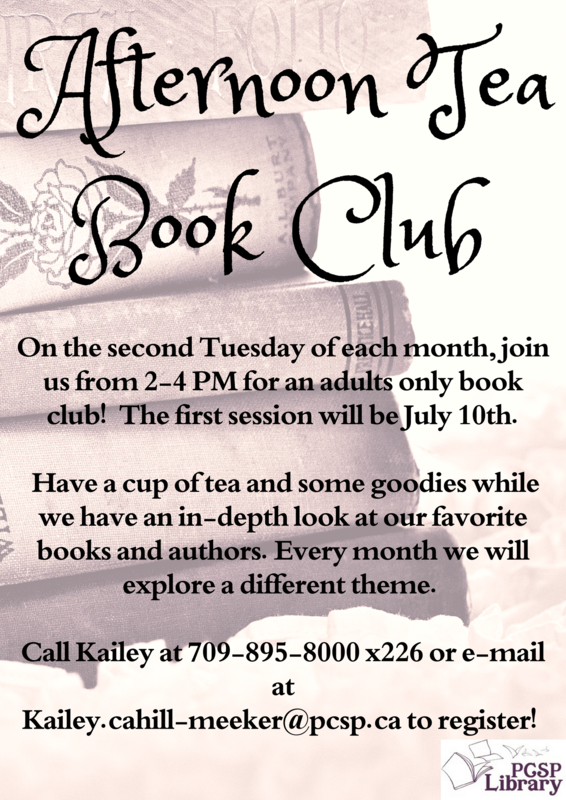 On the second Tuesday of each month, come on by the PCSP Library from 2:00pm – 4:00pm for an adults only book club! Have a cup of tea and some goodies while we have an in-depth look at our favorite books and authors. Every month we will explore a different theme.